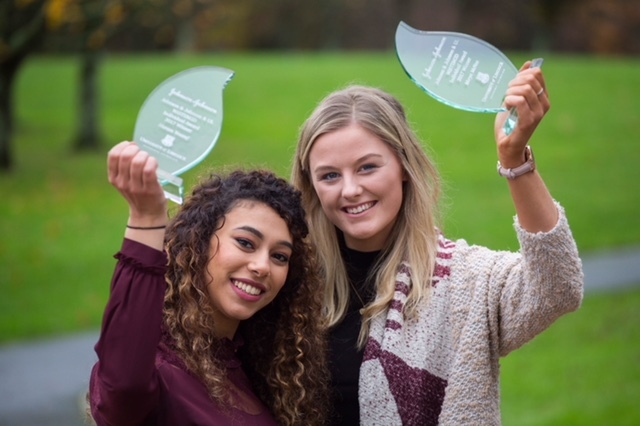 Ten female students were presented with bursaries by global healthcare company Johnson & Johnson (J&J) as part of its WiSTEM2D Award Programme at a ceremony at University of Limerick (UL) on Wednesday, November 22. WiSTEM2D refers to Women in Science, Technology, Engineering, Mathematics, Manufacturing and Design. This is the second year of this initiative which is an integral part of J&J’s commitment to developing and implementing high-impact strategies to support female students undertaking STEM2D degree courses at UL and in universities around the world. At a national level, just 25% of people currently working in STEM-related careers in Ireland are women. 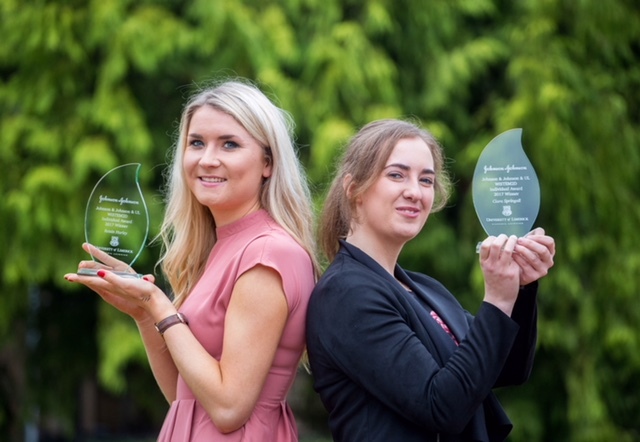 Research undertaken during Year 1 of the WiSTEM2D programme by EPI*STEM, the National Centre for STEM at UL, highlighted the challenges facing women in STEM. In particular, some female students described feeling isolated in classes where there were very low numbers of females. More than half of those surveyed noted that the introduction of a mentoring scheme would assist them in pursuing a career in STEM. The WiSTEM2D programme provides opportunities for students to meet and be mentored by female role models from J&J, to visit J&J sites around the country and develop their STEM networks. 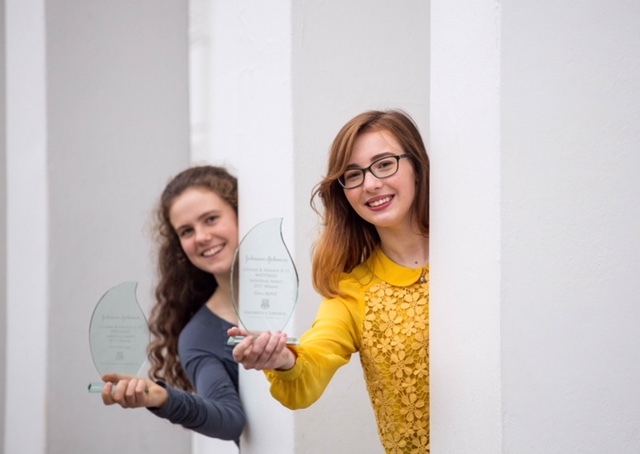 The ten successful WiSTEM2D students are accomplished, ambitious women currently studying STEM subjects at UL and came through a rigorous selection process. Elora McFall, Clare, BSc Applied Physics, Lisa Daly, Laois , BE Design and Manufacture Engineering, Maram Youssef, Tipperary, BE Aeronautical Engineering, Meryn McNea, Achill Island, Mayo, Bachelor of Technology (Education) Materials and Engineering Technology, Nell Hartney, Limerick, BSc Mathematics and Physics, and Roisin Hurley, Cork, BE Mechanical Engineering. The four runner-up students are: Alice Parkes, Limerick, BSc Pharmaceutical and Industrial Chemistry, Lauren Bullen, Waterford, BE Design and Manufacture Engineering, Lydia Cope, Carlow, BSc Food Science and Health and Wiktoria Brytan, BSc Industrial Biochemistry. Leisha Daly, PhD and Country Director of Janssen Ireland, the pharmaceutical company of J&J, said: “At J&J, we recognise that women are greatly under-represented in the STEM workforce here in Ireland, The mentoring element of the programme is designed to combat potential isolation among female students and to provide support for them as they continue their third level studies. As we look to building the workforce of the future, we are committed to supporting women in STEM, allowing us to develop the talent pipeline by nurturing and mentoring our future female STEM leaders”. UL President, Dr Des Fitzgerald said: “A key aim of the WiSTEM2D programme is to inspire young women to bring diversity of ideas and opinions to typically male-dominated STEM careers. We recognise that STEM is traditionally a masculine environment, therefore collaborations between industry and third level institutions are critically important in order to drive change, expanding the reach and quality of STEM education in Ireland. We look forward to a continued partnership with J&J to mentor, support and encourage young women in STEM education”. Speaking on behalf of the Year 1 WiSTEM2D students, Niamh Sheahan said: “Being part of this programme has been an incredible experience for me and all of the students. One of the most positive aspects of the collaboration has been the opportunity to develop connections within our peer network. This resulted in the students setting up the WiSTEM2D Society to support women in STEM, where we can share our experiences and support each other which is incredibly positive and rewarding”. Professor Merrilyn Goos, Ireland's only professor of STEM Education and the new Director of EPI*STEM at the National Centre of STEM Education presented the students with their bursaries at the ceremony. Also in attendance were the award winners’ parents and family members, J&J mentors and UL academic STEM staff including Professor Edmond Magner, Dean of the Faculty of Science and Engineering, and Professor Ita Richardson, Special Advisor to UL President on Equality and Diversity. Science Education Project Officer, EPI*STEM, at the National Centre of STEM Education Dr Regina Kelly was the master of ceremonies for the event.